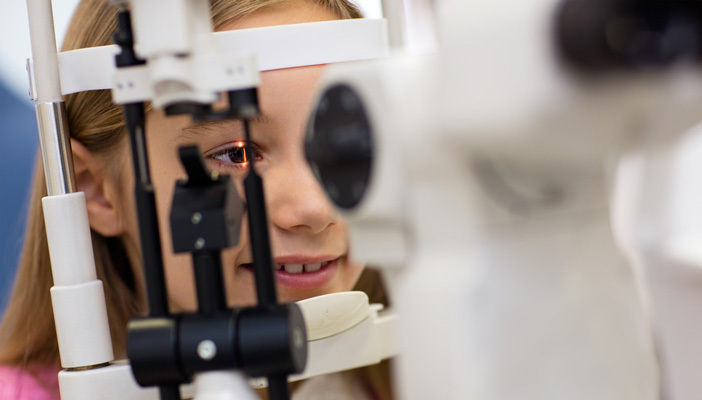 The Down’s Syndrome Association have voiced concerns that optometrists who use auto-refractors during eye examinations are less likely to be able to spot cases of Keratonconus. Carol Boys, Chief Executive of Down’s Syndrome Association, said: “We are urging optometrists to retain their retinoscopy skills and safeguard the eye health of individuals with Down’s syndrome by using the necessary equipment to make informed assessments. We also ask that professionals ensure their knowledge around the visuals problems that affect people with Down’s syndrome is up to date, to ensure these individuals receive the best possible care”. In reaction to new research carried out by the Down’s syndrome Vision Research Unit at Cardiff University, the charity is advocating the importance of retaining retinoscopy skills to optometrists, to ensure keratoconus is picked up in the earliest stages. In the study, researchers tracked 45 young patients with Down’s syndrome. Eleven participants had keratoconus, and the remainder were demonstrated to have healthy corneas. Of the assessed optometric diagnostics, only retinoscopy identified the early stages of keratoconus among the young patients with Down’s syndrome. Keratoconus affects as many as 1 in 10 individuals with Down’s syndrome, and those with the condition are less likely to report changes in their vision. If left undiagnosed, the condition has in the most serious instances led to sight loss. In one case, Rachel Hutchinson, now 29, had worn glasses since the age of 10 with routine optometry check-ups not highlighting any additional eyesight problems. However, two years ago, concerns about Rachel’s sight led her to see Dr Maggie Woodhouse, Senior Lecturer at Cardiff University’s School of Optometry and Vision Sciences, who diagnosed Rachel with Keratoconus within 30 seconds of seeing her. “I am very concerned that many optometrists are not using retinoscopy on a daily basis, and therefore losing this invaluable skill,” Woodhouse said. “Obviously, for people with Down's syndrome, it means that treatable conditions like keratoconus are inevitably going to be missed, but it also means that optometrists can't offer eye examinations to young children or anyone with learning disabilities who cannot use hi-tech instrumentation. It's as if optometrists are deliberately choosing to deny eye care to the most vulnerable members of our population”.